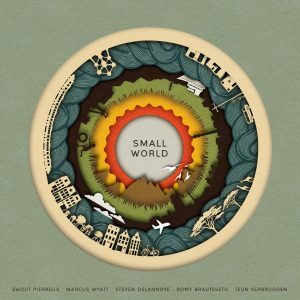 Small World is a cross-continental coöperative musical improvisation project between two South African and three Belgian musicians. 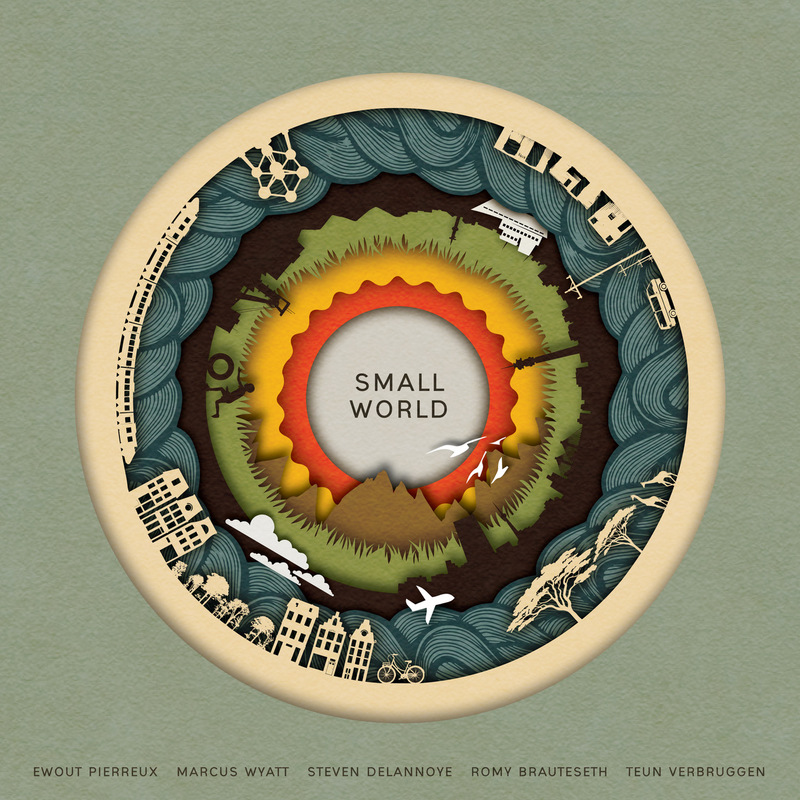 Marcus Wyatt (Johannesburg, SA – trumpet), Ewout Pierreux (Antwerp, B – piano), Steven Delannoye (Brussels, B – tenor sax), Romy Brauteseth (Johannesburg, SA – bass) and Teun Verbruggen (Brussels, B – drums) got together and played an extensive tour in Europe in autumn of 2016. Two concerts at the Bird’s Eye Jazz Club in Basel, Switzerland were live-recorded, and a selection of that music is found on this debut album. A real live-vibe, soulful and groovy tunes with mixed flavours from all over, and a lot of interaction and open-ended improvisation.